Google Inc Chief Executive Sundar Pichai said on Thursday the company had fired 48 employees for sexual harassment over the past two years. Pichai sent an email to Google employees in response to a New York Times story that was published earlier in the day. The report said the search engine giant protected three senior executives from allegations of sexual misconduct by offering them payouts. The email, a copy of which was seen by Reuters, said of the 48 that were fired, 13 were senior managers or held more senior posts. However, Pichai said none of those employees received an exit package. Pakistan's Prime Minister Imran Khan will visit China next week, authorities said Thursday, as the former cricketer mounts a desperate search for funds to prop up the nation's dire finances. The confirmation of Khan's first visit to China as premier comes days after Pakistan secured 6 billion dollars in funding from Saudi Arabia to help stave off a widening balance of payment crisis. Khan said in a televised address Wednesday that he was working to nail down Saudi-style financing packages from two additional, unnamed countries to reduce the size of a potential loan from the International Monetary Fund. Sebi has barred Emerging India Infra and its four former and present directors from the securities markets for at least six years and directed them to refund investors' money raised through illegal collective investment schemes (CIS) within three months. The regulator had in June 2015 through an interim order barred the company and its directors from raising fresh capital from the public after it prima facie held that the firm was running CIS without obtaining registration from Sebi. 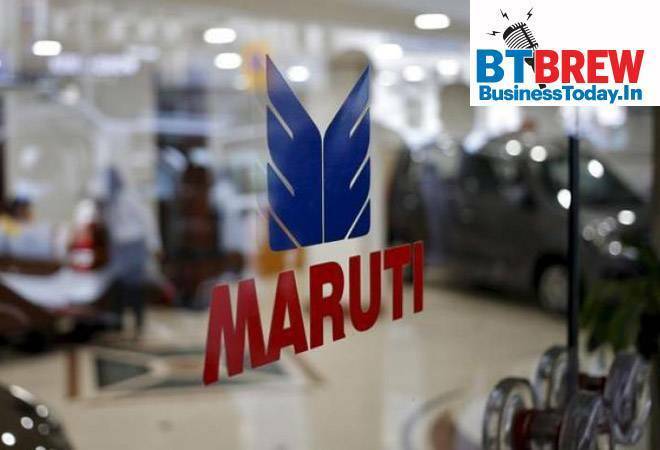 Maruti Suzuki India, whose iconic Maruti 800 nearly four decades ago helped spur car ownership in the country, posted on Thursday a 9.8 per cent drop in quarterly net profit, but beat analysts' estimates helped by its cost-cutting efforts. Net profit at India's top-selling car maker fell to Rs 22.40 billion in the quarter ended September 30 from 24.84 billion rupees last year as higher crude oil prices and a weakening rupee weighed on consumer demand. India's fourth largest IT services firm is set to hire 25,000-30,000 people this year. This hiring at HCL Technologies comes as it sees more and more customers outsourcing technology work. Unlike in the past when it focused on specialisation in development lifecycle, the company plans to hire more stack engineers, as mentioned in a report in The Economic Times. HCL Tech has seen a surge in successful deals and is expected to need more talent. It signed 17 deals in areas such as cloud, IoT, cybersecurity, digital and analytics. Auto industry body SIAM said Thursday it is bound to honour the Supreme Court verdict on sales and registration of BS-VI vehicles from April 1, 2020, onwards despite the order being a "huge challenge" for the industry as a whole. Society of Indian Automobile Manufacturers (SIAM) President Rajan Wadhera said the government had provided a clear window of three months for registering the small number of fully built vehicles and six months for bus/truck chassis which may remain unsold with the dealer/manufacturer post April 1, 2020, after considering all aspects of the matter.